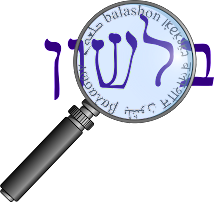 Unlike selicha and mechila, there are a number of different words in the Tanach that share the root כפר , and it is not always clear if they are related. The meanings of selicha and mechila were fairly clear - the debate was over the etymologies. With kapara, there is much disagreement amongst the rabbis and modern scholars over the actual meaning of the root and words. The root כפר is the base of Yom HaKipurim יום הכיפורים - and therefore receives much more attention, and many more drashot about the root come in to play. With so much discussion about kapara it will be hard to cover everything in one post. I will make an effort to be comprehensive, but I will recommend checking out "inside" the sources and links I present. And of course there is the root כפר - which is variously defined, as we shall see. The expression propitiate [akhaprah panav] appears here in Scripture for the first time. The commentators disagreed about its meaning. Rashi writes: "propitiate - I will end his anger,... it seems to me that the word kaparah when conjoined with avon [transgression] and het [sin], and panim [face] - all are expressions of wiping away, and they are Aramaic... Scriptural language also refers to the holy fountains as kipurei zahav, since the priest cleans his hands in them, in the lip of the fountain." Rashi explains kaparah as wiping out anger. The gift is intended to wipe out Esau's anger. Ibn Ezra interprets it differently: "The meaning of akhaprah panav is I will cover-up and hide." It is not a matter of ending the anger permanently, but rather of temporarily hiding it, and especially, canceling its destructive outcome. Esau's anger and enmity are not cancelled; instead, they will be temporarily held off by the gift, saving the lives of Jacob and his household for the time being. According to the RaMBaN, the Hebrew language does not contain the concept of kaparah for a sin, but rather only kaparah for a soul. Kaparah is ransom for a soul, a replacement for death. Jacob is saying that he himself deserves to die upon seeing Esau, and the gift is being given in exchange for his life. So we have three options for כפר : wiping, hiding/covering, and atonement/ransom. However, I have found a fourth explanation, which I find very convincing. Rav Menachem Leibtag explains in this article how כפר always means "protection". The article is too long to quote here, but it discusses how protection is an accurate definition for most of the words I quoted above, and also offers an explanation of the meaning of Yom HaKippurim. Take a minute and read the article. The meanings 'to wash away, wipe off, cover, expiate' are interrelated, and, accordingly, etymologically connected. The Akkadian verb kuppuru, which corresponds to Hebrew kipper, means "to wipe off, burnish, cleanse". In cultic terms this means that expiation is conceived of as cleansing, as wiping away impurity, contamination, and, by extension, sin itself. This interpretation differs from the concept endorsed by many scholars that the verb kipper means "to cover, conceal" the sin or impurity from God's view. Such an idea is of course well known in the biblical literature, as it is in most other religious traditions, but is not the idea conveyed by the verb kipper. What about some of the words that Leibtag does not discuss? Klein writes that kfir perhaps is related to the meaning "to cover" and denotes "a lion already covered with a mane". Steinberg suggests that kfar means "a place covered with tents in a field". Klein does not offer an etymology for kefira, but Jastrow writes that it means to wipe out the truth, and this site, discussing the cognate Arabic term kuffir, suggests "to cover or to conceal" the truth.